Maintaining proper rations in each room is incredibly important. That's why we have room ratios available in the mobile app and on the web! 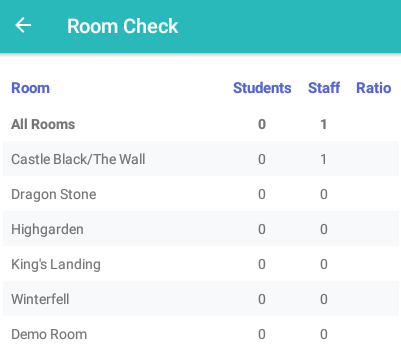 Once you're in Room Check, you should see a list of all your rooms, followed by the number of current children and staff members checked into the room, along with the ratio.